Microsoft has today launched its Robotics Developer Kinect Toolkit for commercial use. Allowing robot builders to now integrate Mircosofts Kinect motion sensor into their builds. 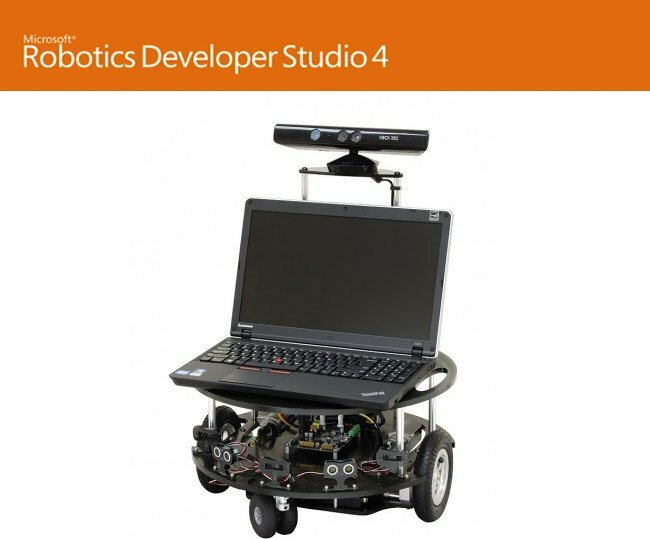 The new Microsoft Robotics Developer Studio 4 software can also be used to create “virtual bots” without the need to have any hardware to create your perfect robot. Watch the video after the jump to see the Kinect toolkit in action. The new system and Kinect toolkit enables both commercial and enthusiast robotic developers to use Microsoft’s Kinect’s distance sensors, tracking and other technologies to aid the robots navigation, avoid obstacles and interact to people it may meet around it.